December 04, 2018 at 4:15 pm. 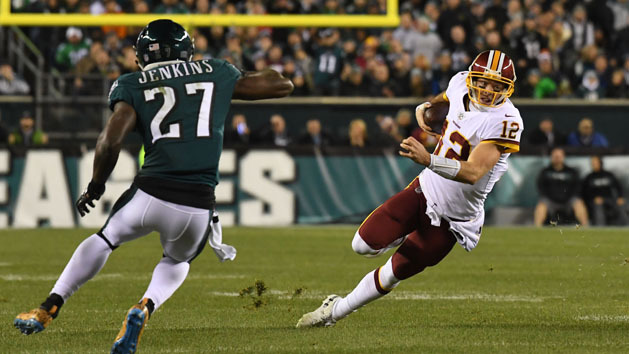 Washington Redskins quarterback Colt McCoy sustained a fractured right fibula during the final play of the first quarter of Monday’s 28-13 setback to the Philadelphia Eagles. 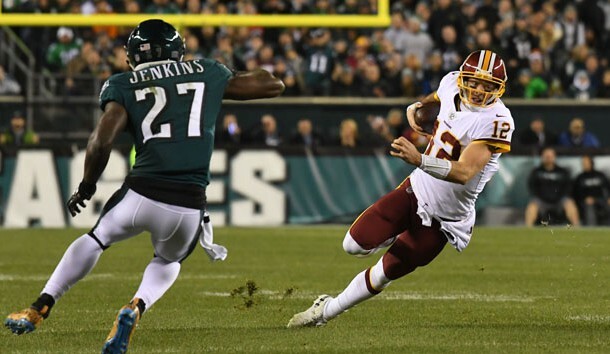 McCoy is scheduled to undergo further testing on Tuesday, but is expected to become the team’s second starting quarterback to see his season come to an end. Alex Smith broke his fibula and tibia in Washington’s 23-21 loss to the Houston Texans on Nov. 18. –Running back James Conner has been ruled out of the Pittsburgh Steelers’ road game against the Oakland Raiders, coach Mike Tomlin announced. Tomlin described Conner’s lower-leg injury as a sprain, not as a contusion as initially thought. He did not indicate whether the injury will keep the second-year running back sidelined for more than one week. –Los Angeles Rams running back Malcolm Brown underwent a medical procedure to deal with a clavicle injury he sustained in last weekend’s win over the Detroit Lions. –The Buffalo Bills released wide receivers Kelvin Benjamin and Andre Holmes, the team announced. A first-round draft pick in 2014, Benjamin’s best season was his rookie year in 2014, when he had 73 receptions for 1,008 yards and nine touchdowns while playing for the Carolina Panthers. Holmes is sixth on the team with 157 receiving yards on 12 receptions. He has not caught a pass in the Bills’ last two games. –Carolina Panthers tight end Greg Olsen is finished for the season and will be placed on injured reserve with a foot injury, the Charlotte Observer reported. This is not a surprise since Olsen had said earlier that he believed his season was over after he tore the plantar fascia in his right foot in Sunday’s loss to the Buccaneers. It is the same foot that has caused him so much trouble.